As fans while away the hours until The Walking Dead returns to TV screens next month, they’ve had to satisfy themselves on bits and pieces of news from the popular zombie series. We’ve seen a couple promos and heard an interesting casting choice, but that’s about it. On the other hand, as the spinoff series, titled Cobalt, starts to take shape, we’re learning more and more about the project, including potential plot details and the possible return of a familiar face. There may be spoilers for Cobalt beyond this point. You’ve been warned. Here’s what we know about Cobalt so far. It takes place in Los Angeles, which is about as different a location as you can get from the flagship series, which is set primarily in rural Georgia. The action follows a group that includes teacher Sean Cabrera (Cliff Curtis), guidance counselor Nancy Tompkins (Kim Dickens)—we’ve heard these two are romantically involved—and her two teenage children, Nick (Frank Dillane) and Ashley (Alycia Debnam Carey). We’ve also seen character descriptions of other players, but none of them have been cast yet. All of this indicates that the story takes place towards the beginning of the outbreak, and the CDC Virologist dovetails nicely with the next piece. 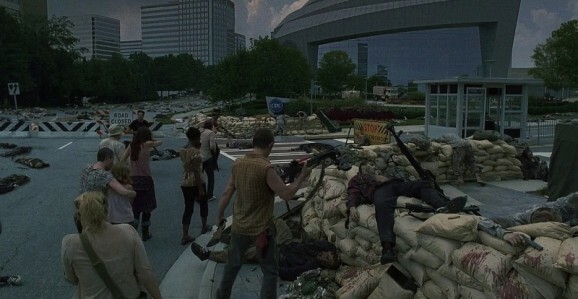 Longtime fans of The Walking Dead will remember the end of season 1, where the survivors wind up at the CDC in Atlanta, only to have the facility blown out from beneath them by Dr. Jenner, played by Noah Emmerich. 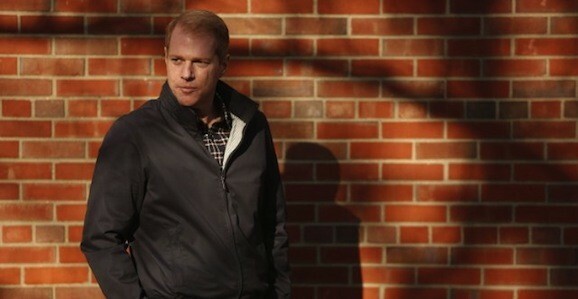 Comic creator and series producer Robert Kirkman has said that this is his one major regret with the show, as it explains everything too early. Sure, I think he’s a fascinating character. There’s definitely a lot more to find out about Dr. Jenner. I have no idea, I haven’t talked with them about anything. I don’t know…It would be really interesting to see what more was there. While that’s an intriguing prospect, it doesn’t sound like it’s going to happen. There aren’t any discussions going on, and while the CDC is definitely going to be involved with trying to corral the outbreak, he’s on the other side of the country. It is possible that he could show up for a time, maybe be evacuated before things get to hairy, but it just seems like too obvious an attempt to connect the two shows. We’ve also heard rumors that Juan G. Pareja, who played Morales briefly in the first season, could appear in Cobalt, but again, they’ll have to explain away how winds up on the other side of the country, in the middle of all hell breaking loose, a short time later. THR’s sources say “the two worlds are very much linked together,” but doesn’t really explain what that means. Are they so intertwined there’s character crossover? Or does that just mean they’re set in the same universe? The latter sounds the most likely, but it’s not out of the realm of possibility to see familiar faces pop up in Cobalt. We don’t know when Cobalt will air, though it will likely drop this fall, and The Walking Dead returns on Sunday, February 8.